The future of clean energy is brighter than ever. There is no shortage of information about clean energy on today’s global information superhighway. As one of the most powerful forces for environmental conservation and combating climate change, the clean energy revolution is in full swing. For the very first time, more renewable energy sources were installed in 2016 than those extracting fossil fuels from the Earth. Elon Musk has successfully merged Tesla Motors and SolarCity to create a clean energy business superpower. The new and improved Tesla is currently building a “Gigafactory” to supply clean battery cells to power electric cars and solar-powered homes for decades to come. Unsurprisingly, the Tesla Gigafactory will run entirely on clean, renewable power sources. The clean energy industry is booming. The business of renewable power sources is rapidly spreading across the United States as this revolution goes global. For example, Saudi Arabia just announced plans to spend $50 billion in solar and wind projects throughout the country. Additionally, Dutch electric trains are now 100% powered by wind energy. Last year, for the first time in history, clean solar power became cheaper than fossil fuels. These many examples are just a taste of what’s to come in 2017. With the myriad of clean power news and blogs dedicated to renewable energy, where should you get your information? We’ve investigated the plethora of fantastic clean energy content out there and organized our findings just for you. Here is our list of the top 5 renewable energy blogs you should read in the coming year. This is one of our favorite sources for news regarding emergent green technology. The clean energy revolution has taken center stage as climate change becomes an increasingly perilous global human issue. As a result, renewable energy is becoming an increasingly profitable, viable, and exciting energy sector in the business world. Greentech Media (GTM) provides continuously updated news articles, accurate information about clean electricity, and definitive market research that currently guides the world of clean energy. GreenTech Media is a clean power authority across the globe. The International Energy Agency (IEA) is an “autonomous organization which works to ensure reliable, affordable and clean energy for its 29 member countries and beyond.” The IEA was founded during the 1973-1984 global oil crisis. Furthermore, this team has been a clean energy authority for decades. This worldwide leader in energy and environmentalism has provided the most cutting-edge information regarding renewable power sources for decades, long before the issue of climate change entered the public consciousness. Their news team runs one of the most active clean energy blogs in the world. Their 240 employed professionals work with a diverse group of international energy agencies and are experts in the field of clean power. The Ygrene Energy Fund is an award-winning clean energy pioneer that leads the nation in clean energy financing for homeowners, residential properties, and commercial buildings in the United States. 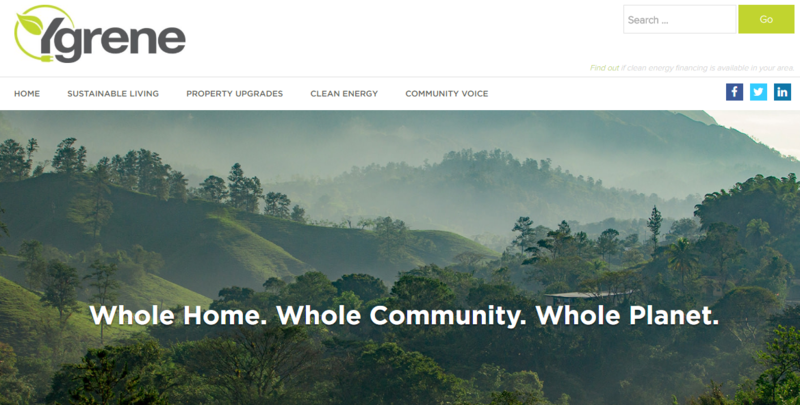 Furthermore, Ygrene produces a fantastic blog with the latest clean energy news and sound sustainable living advice for local communities across the country. Their blogging staff covers a wide range of topics that pertain to the individual, lending a voice to local groups looking to do good through the advancement of renewable energy sources. The Ygrene Energy Fund also produces a fantastic newsletter, which you can sign up for on their blog home page. Cleantechnica is considered by many to be the #1 cleantech website in both the United States. With a focus on electric vehicles, solar power, wind energy, energy efficiency, and clean energy storage, Cleantechnica covers a wide range of topics. However, their news team brings depth to the industry and has been doing so since 2008. Nearly 10 years ago, before clean energy was a popular subject of discussion, CleanTechnica was at work. They boast an impressive social media following as well, bringing alternative energy news to the masses with an engaging voice and digestible media format. With millions of readers every month, Ecowatch is one of the most popular blogs for environmentalists in the world. While other clean energy news sites focus on the financial and industrial implications of renewables, EcoWatch emphasizes the impact on our planet. The heart of their eco-focus and clean energy topics include conservation of natural resources, sustainable business practices, environmental protection, sustainable living, and fighting climate change. EcoWatch is a prominent, highly-trusted source for green energy information. Finally, EcoWatch is a certified benefit corporation aggregating over 50 news sites around the globe. Did we leave you favorite clean energy blog off the list? Please let us know with a comment below! If you are in the business of renewable energy or social good, please contact us to learn how we can help you find success online.